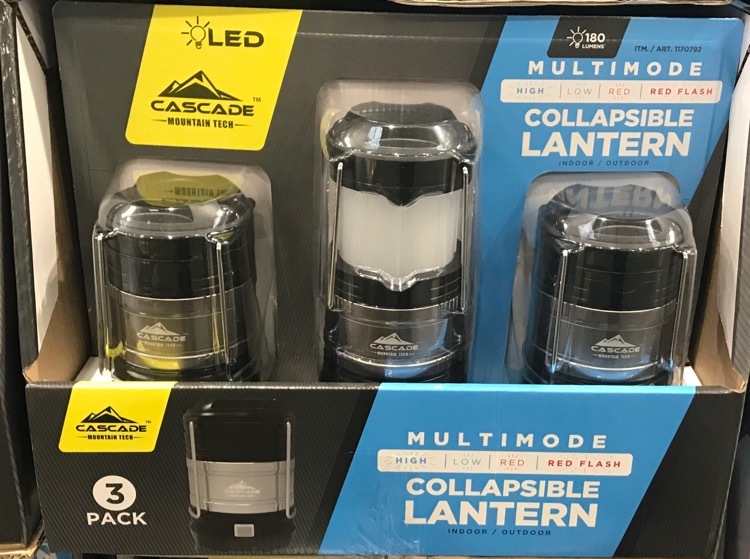 Last year I bought a 3 pack of the Cascade mini lanterns at Costco for $14.99 (normally $19.99) and we love them. You can hang them on the frame of your canopy with bungee balls. They take up less room than my vintage Coleman lanterns and no fuel to haul around . We tried the full size Coleman LED lanterns and they work just fine but take up too much room. The mini lanterns have 2 light levels, red and flashing red if you break down while traveling. They are on sale again, for the same price, so I bought another 3 pack.